More economical than individual filter purchases, these multiple filter kits take the guesswork out of choosing a variety of creative filter effects. 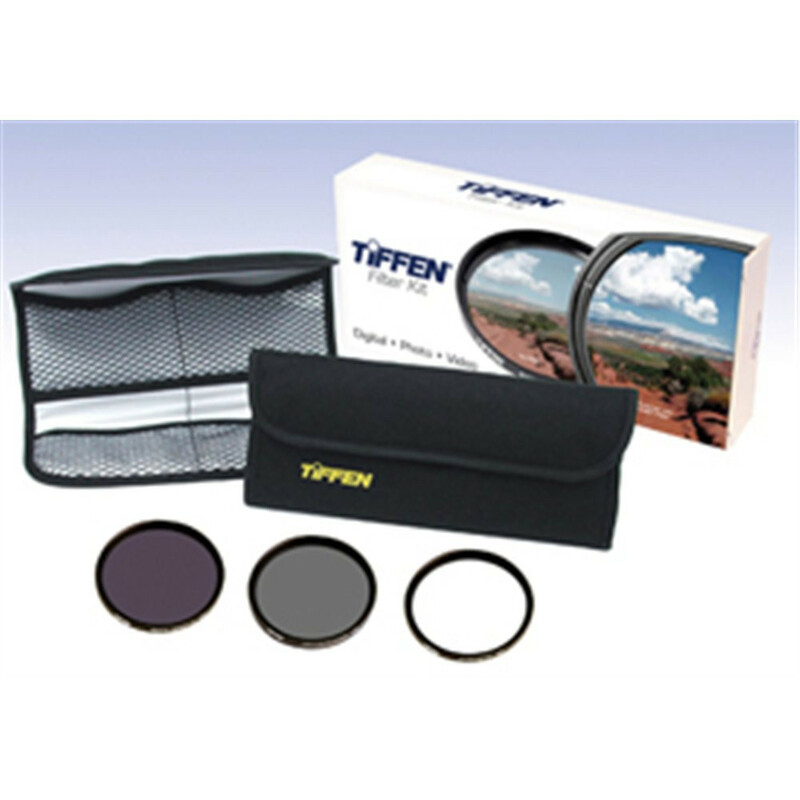 Pre-packaged assortments, with combinations of Tiffen's most popular filters, provide a range of artistic possibilities for almost every application and budget. The DIGEK3 filter kit includes a UV Protector, Circular Polarizer, Neutral Density 0.6 and 4-pocket pouch. This kit is ideal for outdoor use. Protects your camera or camcorder lens against dust, moisture, fingerprints, scratches and damage. This filter can be kept on your camera at all times. A Circular Polarizer has the same effect as a Polarizer and is used on cameras with beam splitting metering systems commonly found on auto focus SLR's (for mos t 35mm auto-focus cameras see your camera manual). Reduce the amount of light passing through the camera lens without changing the color of the scene. The Neutral Density filter is especially useful in bright light conditions to help prevent overexposure. It also allows proper exposure at a wider lens opening for reduced depth-of-field to highlight a key subject by making the foreground and/or background out of focus. A 4-pocket padded pouch keeps your filters clean, safe and organized.